This budget green home server is really affordable and incredibly capable. While it's an energy efficient home server, it doesn't skimp on processing power. Our goal is a quiet, energy efficient home server that is always-on for network file and media storage. Therefore we'll balance low power consumption with a beefy CPU. For a media server, you'll want to consider a few aspects. You can opt for a TS140 in two configurations: there's an Intel i3 iteration and a Xeon TS140. The latter sports an E3-1226 v3 Xeon CPU. Its PassMark rating clocks in at just shy of 8,000. With a 7,042 PassMark, the Xeon-powered ThinkServer TS140 can handle several concurrent media streams and transcodes. The base i3 model features a 4,764 PassMark rating and should be able to tackle two simultaneous 1080p transcodes. If you're only using your green home server for network file storage, the i3 version should be fine. 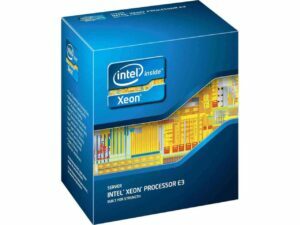 However, as we're using this low power home server for media storage as well, the Xeon offers better performance. The TS140 comes equipped with 4GB of ECC RAM. ECC stands for error-correcting code. This type of memory is specifically engineered for data storage and can correct many frequently encountered varieties of corrupted data. 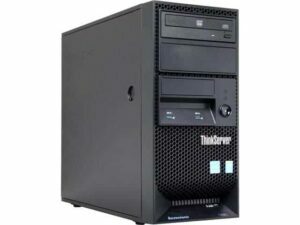 By including ECC RAM, the Lenovo ThinkServer TS140 is well-suited for data storage. Its ECC RAM protects your media files. ECC memory should help to reduce problematic events like crashes and therefore maintain better uptime and maximize availability. Uptime and availability are crucial with file servers. You can upgrade the TS140 with up to 32GB of RAM. Up to four 1600 MHz DDR3 or UDIMM sticks or RAM may be inserted. For a media server, 2GB is typically sufficient depending on your operating system. Linux distributions for instance may be fine with less than 2GB. More RAM certainly won't hurt, but the baseline 4GB in the TS140 should fit your media server needs. Moreover since it's ECC RAM, you'll benefit from better protection from data loss and crashes. Noise level may or may not be a priority depending on where store your home server. My router is in the living room, so I've got my server hooked up by the sofa. Maintaining a quiet server was key in my considerations since I didn't want CPU fans or harddrives creating a racket while trying to watch a movie or show. The TS140 stays extremely quiet even under heavy duress. Picking out your harddrive requires lot of considerations. There's reliability, read/write speed, number of hard drives, and hard drive types. Since we're cobbling together a budget home server build, let's stick with a standard mechanical drive. I recommend opting for a well-known brand and picking more storage over an SSD. As we're hosting media, it's better to have more storage rather. SSD storage to price ratios tend to be high. A potential NAND crisis is poised to exacerbate SSD pricing. So this Seagate 3TB is an excellent pick. At $99, it offers plenty of storage and is a great starter. Unfortunately, it's not an SSD. However the 7200 RPM harddrive should yield better performance than a slower 5400 RPM drive. The TS140 can house up to four 3.5″ harddrives and is compatible with 2.5″ drives as well. RAID compatibility means you can insert multiple harddrives and configure them in RAID. That would protect further against data loss, and is a fantastic inclusion for a media server. Alternately, you can use a smaller SSD for the operating system and a larger platter drive for file storage. 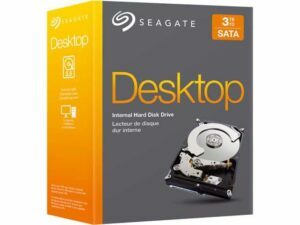 I suggest sticking with a standard mechanical drive like the Seagate or multiple mechanical drives in RAID configuration since this will probably be an always-on energy efficient server build. The TS140 is compatible with an array of operating systems. My recommendation is a free Linux distribution. Linux distros generally use fewer system resources, and are free as opposed to a Windows license: 7 Best home server software options. Best bets include Ubuntu 16.04 LTS, CentOS, and Arch Linux. Check out our Ubuntu server partition scheme for a home server. FreeBSD and OpenSUSE are terrific picks as well. And NAS4Free is a reliable NAS and home server operating system. If you go the Linux route, a Ubuntu derivative or Debian-based distro offers the best compatibility. Optionally, you can pay for a Windows license, but for remaining on a budget, it's best to stick with a free operating system. Install is really simple, and with its increased permissions, Linux operating systems actually offer lightweight environments and enhanced security. 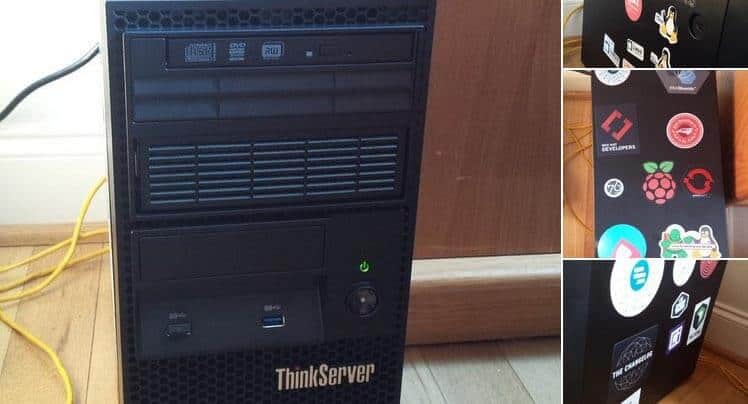 Although the Lenovo ThinkServer TS140 is a phenomenal value that balances power, expansion, and affordability, it does have its limitations. You don't have to start from scratch with this build as everything but a harddrive is included and moreover installed. You must source an operating system and harddrive. For those seeking a pre-configured build, this might be a drawback. Video outputs are limited to VGA. PCIe expansion means you can add a graphics card if you need DVI, HDMI, or a Displayport output. Since this is a low power home server build, it's quite possible you'll be running headless. Rather than hooked up to a monitor, this green home server will host network file and media storage. So if you're merely broadcasting to clients, that shouldn't be an issue. However for those seeking a non-headless energy efficient home server build, keep in mind the video out limitations. The TS140 employs ECC RAM. This is a plus as ECC detects and corrects common internal data corruption. 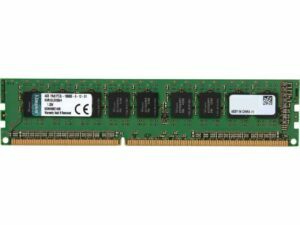 But ECC RAM is usually more expensive than traditional desktop or laptop RAM. So RAM upgrades will be more costly. With its combination of power, expandability, and affordability, the TS140 is a the best low power home server build 2017 for network file and media storage. I'm running a Xeon-powered TS140 as my dedicated headless Plex server. I added a 4TB 5400 RPM Western Digital harddrive, installed Ubuntu 16.04 LTS, and my server was complete in less than 30 minutes. Currently, I'm only using it for Plex and have the base 4GB of RAM. With my budget home server build, I've achieved four simultaneous 1080p transcodes. While Plex is often used as a sort of DIY Netflix, its ability to host music and pictures as well as home videos makes it an excellent starter for network file storage as well as media storage. Reddit users consistently plug the TS140 as a recommended home server build. The Leonvo ThinkServer TS140 boasts beefy hardware in a relatively small form factor. For around $500, you can create a sweet media server that is unwavering in its performance but won't break the bank. Plus, there's ample room for upgrades in the future which ensures longevity.